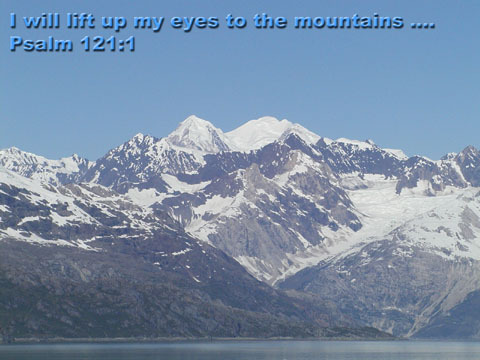 Here are some photos I have taken with a verse or two added. I hope they are as meaningful to you as they are to me. 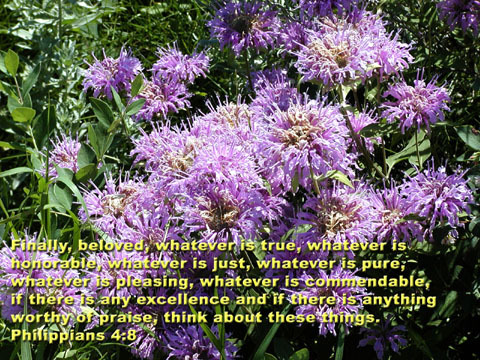 The association of the photo below with the combination of the two verses is a long story, but God reminded me of these verses right after I took this shot. I was just trying to get the sailboat with the island behind it and ended up getting two birds along with the shot. It's a very relaxing photo to me, so I thought this would go well. 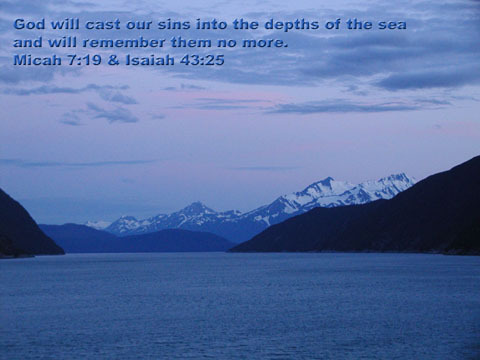 Or, do you like this photo with the same verse as above? 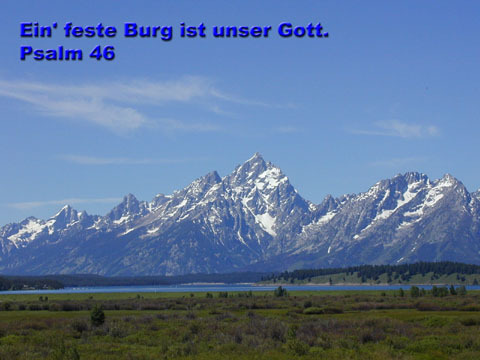 Ein Feste Burg ist Unser Gott is the first line of Martin Luther's hymn, "A Mighty Fortress Is Our God." The German word for mountain is "Berg." I thought that would make a nice wordplay for this photo. These wildflowers were growing wild along the side of the road. It's a harsh environment: up to 100 degrees in the summer and well below 0 in the winter. But beauty still can prevail even in harsh circumstances. 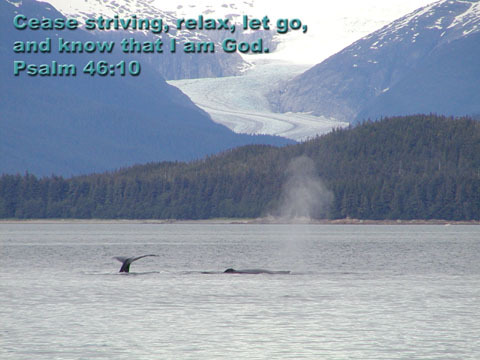 A nice scene to remind us to pray rather than be anxious. From whence cometh our help? 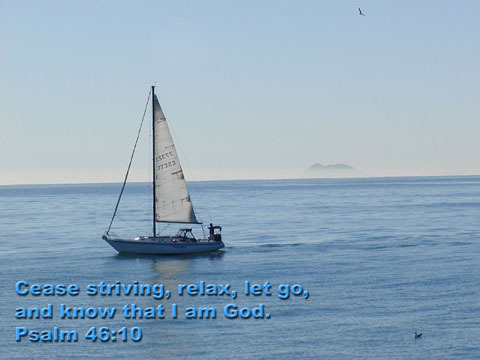 Our help is from the Lord! 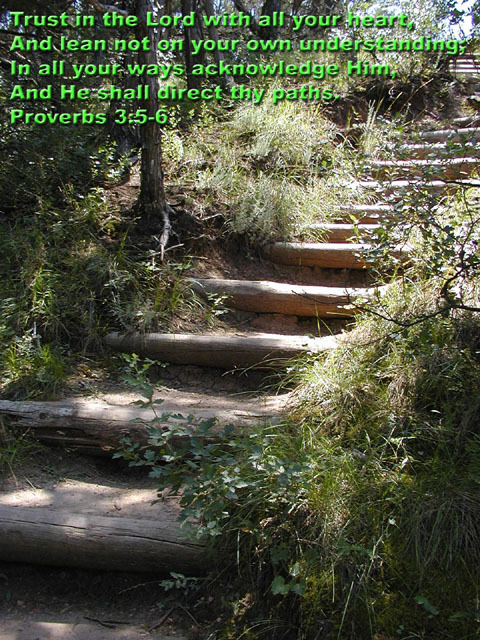 Very good advice from Proverbs, don't you think? If you have comments, please let me know. Last updated October 27, 2005.